A visit to our local Chef & Brewer Pub, The Bull Inn in Goring-by-Sea led to a grave disappointment. The pub has had a chequered past but my wife and I are always willing to give places another chance. 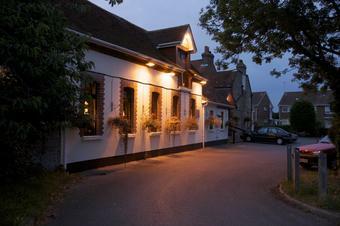 Unfortunately, The Bull Inn pub, the Chef & brewer chain or the current management have not improved the pub or its food. To be fair I had the sea bass and scallop risotto, which was not too bad. The sea bass fillets however, were of a size that most self-respecting fishermen would throw back as undersize and the scallops (two very small ones) were cooked quite nicely, but at £13.55 I didn’t feel was value for money. Unfortunately, my wife didn’t fare so well. She ordered the marinated spiced cod. She asked for chips instead of the roast new potatoes and for the sauce to be on the side. When served, the so called marinated cod was not marinated but smeared with some dry spice mix. This should have been served with a reading of the ‘last rights’ as it was so over was over cooked, that we couldn’t identify whether it was fish, chicken or leather! The sauce was on the side but they had left off the peas, roast onions and rocket salad altogether. We had to request for the meals to be taken away, warmed up and corrected. They were a bit reluctant to do this, but the onions and peas were sorted… no sign of the rocket though. Interestingly, no-one came back to check if we were happy with our meals, or to offer some kind of compensation. In fact, they seemed to be avoiding our area of the pub! We both felt that this meal was not worth the money we had spent and had it been billed at the end of the meal, they would not have received the full amount charged. I would have to say we have visited various other eateries both independent and chain. Worthing is crying out for good quality, fair priced eateries. Unfortunately, The Bull Inn falls far short of our reasonable expectations. 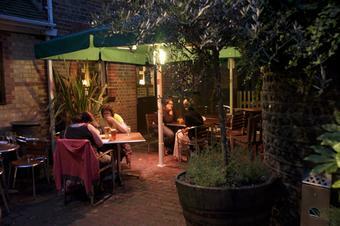 Are we on our own in our search for a pub which serves decent food and fair prices? 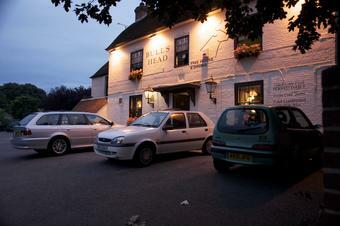 A visit to our local Chef & Brewer Pub, The Bulls Head pub in Goring-by-Sea led to a grave disappointment. The pub has had a chequered past but my wife and I are always willing to give places another chance. Unfortunately, neither The Bulls head pub, the Chef & brewer chain nor the current management have not improved the pub or its food. I would have to say we have visited various other eateries both independent and chain. Worthing is crying out for good quality, fair priced eateries. Unfortunately, The Bull Inn falls far short of our reasonable expectations. Are we on our own in our search for a pub which serves decent food? Visited a couple of weeks ago as part of a group of ten and found the pub perfectly acceptable. The service was good, the Timothy Taylor was good, the food was good and it arrived together. I had a mixed grill and it was really nice and my friends all seemed to enjoy their meals. Only thing is that pub shuts at 11 on the dot - be nice to stay open a little longer to enjoy a fw more beers! We had dinner here today and I must say it wasn't bad the food was very nice, but the service wasn't brillant. The food was slow, they did apologise; we had a toddler with us which was not that great for being so late with our food!! As anyone realizes with young ones they don't undestand!!! So in this case I find it not suitable, but it was pleasant, enjoyable pub. I found the maneger quite rude and could be more helpful, will go there again but proberly not with a small child!! I would also like to point out that 'alarm bells' ringing due to how quiet we were has more to do with xfactor and strictly come dancing than our standards or food quality. Indeed you would have been unable to get a table during lunchtime! Apologies, however I feel that I have the right to reply when deemed necessary.